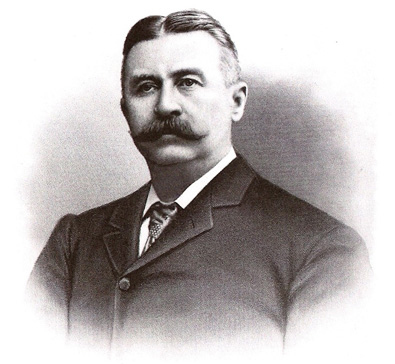 Below is the story on the origins of this historic whiskey brand. So pour Yourself A Drink, Keep Scrolling Down & Enjoy! Versailles, in Woodford County, Kentucky (prior to 1792 present day Kentucky was part of Virginia). Elijah built a new distillery in Versailles at a spring behind the court house and became well-known as a superior local farmer-distiller. When the Whiskey Rebellion arose in 1794, Elijah was one of the few distillers with pockets deep enough to pay the demanded excise taxes. Many other local farmer-distillers were forced to give up distilling due to the high taxes and sold their grains to Elijah, which he, in turn, distilled. In 1812, Elijah bought a large tract of land nearby below the spring on Glenn’s Creek. There, Elijah erected a cabin for his family and built a new larger distillery. Today, the distillery site on Glenn’s Creek is a National Historic Landmark and is home to the Woodford Reserve® Distillery (Woodford Reserve® is a registered trademark of the Brown-Forman Corporation) . Elijah runs a successful distillation operation until his death in 1838, leaving the distillery to his son and successor, Oscar. Oscar builds the new, larger ‘Old Oscar Pepper’ distillery on the same site. He hires a Scottish chemist by the name of Dr. James C. Crow (ie, Old Crow® Bourbon – Old Crow® is a registered trademark of Jim Beam Brands Co.), and working together the sour mash process for making whiskey is perfected at the distillery, revolutionizing how whiskey is made in a process that still widely used to this day. 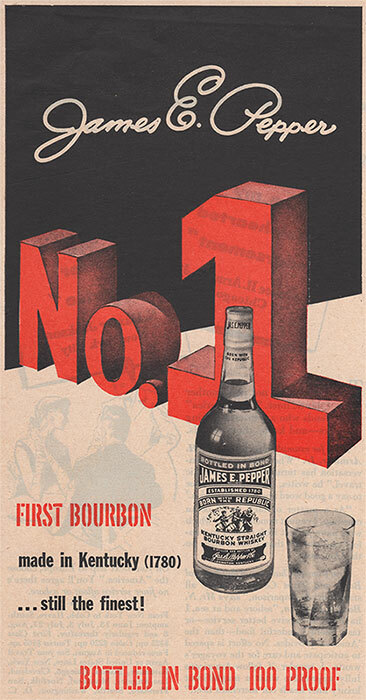 “Old Pepper” bourbon becomes the favorite brand of noted Americans: including President Ulysses S. Grant, Kentucky Senator Henry Clay, President Andrew Jackson, Vice President John C. Calhoun, President William Henry Harrison & statesman Daniel Webster. Oscar passes, and his son, the young James E. Pepper, takes over the distillery. 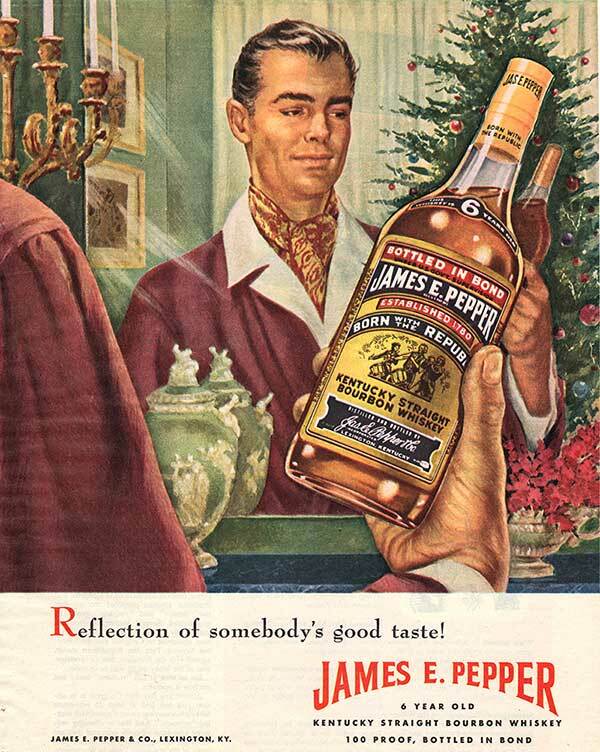 Colonel James E. Pepper, was a larger-than- life bourbon industrialist and flamboyant promoter of his family brand. An avid and noted horseman, he operated the finest stable in Kentucky and raced his thoroughbreds in the Kentucky Derby multiple times. He traveled in an ornate private rail car, painted with images of his famed whiskey label and named ‘The Old Pepper’, and was the most heavily insured man south of the Ohio River. He spent a considerable amount of time in Manhattan, and his activities in both Manhattan and Kentucky were often reported on by the New York Times. While in New York he would stay for extended periods of time at the famed Waldorf Astoria® Hotel (a registered trademark of HLT Domestic IP, LLC). During these stays he was known to socialize with other American captains of industry, including John D. Rockefeller, Theodore Roosevelt, C.V. Vanderbilt, Charles A. Pillsbury, Fred Pabst, Charles L. Tiffany, & William Steinway. 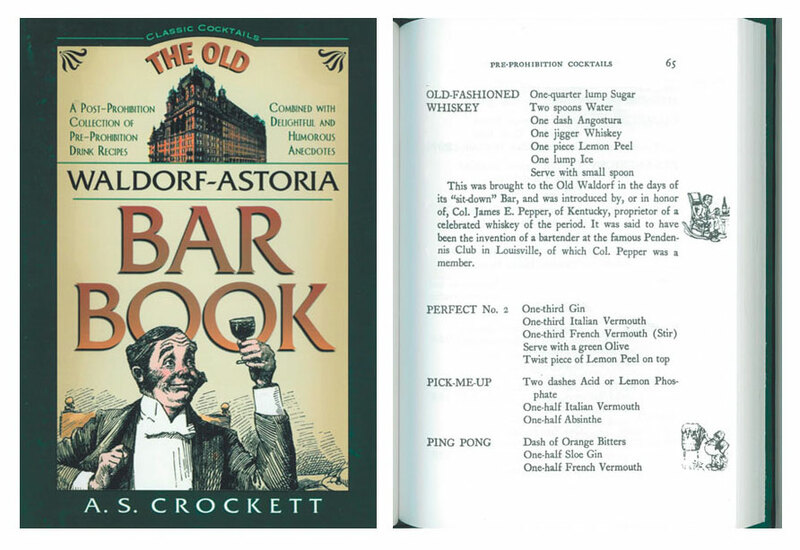 It was through these trips to the Waldorf that Colonel Pepper helped introduced the world to the “Old Fashioned” cocktail, which was said to have been invented in his honor by a bartender at the famed Pendemmis Club in Louisville, Kentucky. 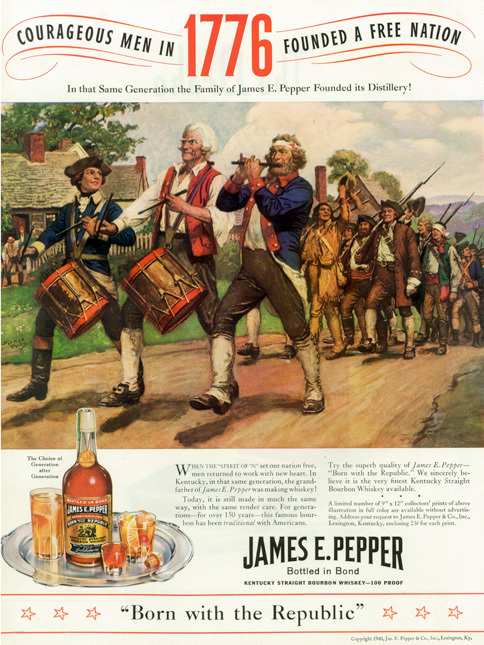 Colonel Pepper proudly proclaimed his continued use of his grandfather’s original Revolutionary‐era recipes, and as such nicknamed his whiskey “Old 1776”. 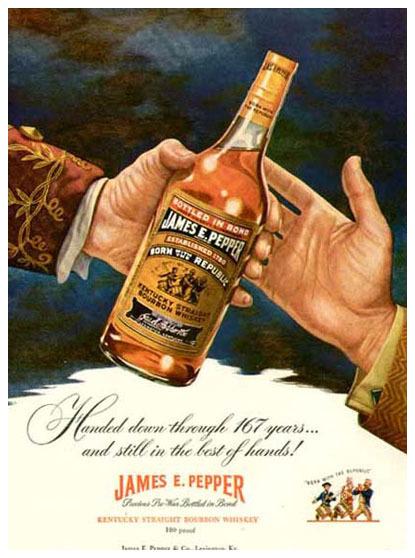 After having to sell the old family distillery due to financial problems, James moves to New York for a time, and then returns to Lexington, KY & builds the James E. Pepper distillery. It was the largest bourbon distillery in the US, and it s remnants today are listed on the N ational R egister of H istoric P lac es. 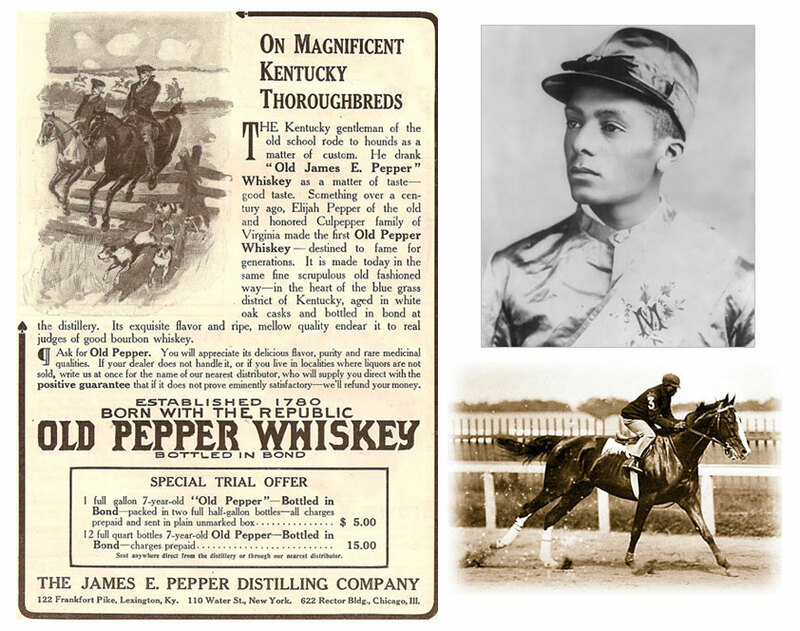 James E. Pepper was an avid breeder & racer of thoroughbreds. In 1892, his filly “Miss Dixie” wins the Kentucky Oaks. In 1893, ridden by his friend & future Hall of Fame jockey, Isaac Burns Murphy, his horse “Mirage” races in the Kentucky Derby, finishing in 5th place. In 1896, his horse “The Dragon”, races in the Kentucky Derby, finishing in 5th place. While visiting the Waldorf‐Astoria hotel in Manhattan for Christmas, Colonel Pepper suffers an accident on an icy sidewalk resulting in severe fractures to his leg. 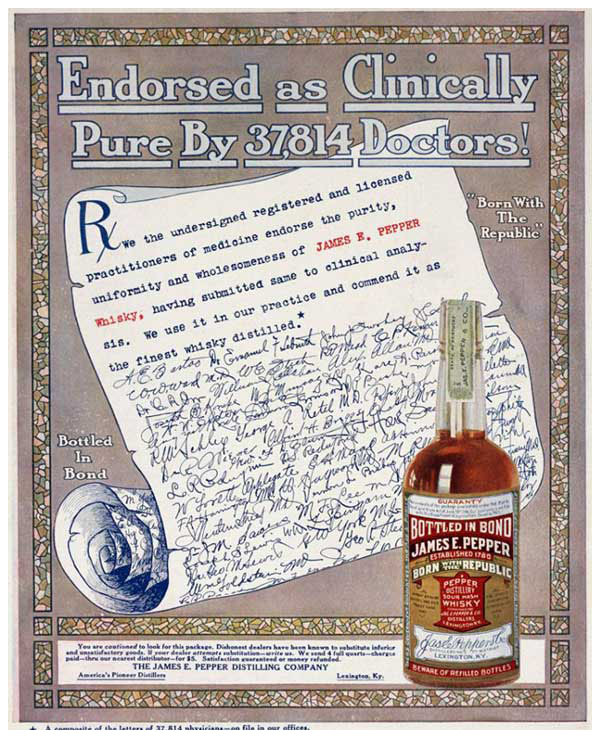 Over the next few days his injuries worsen and on December 24, Christmas Eve, 1906, Colonel James E. Pepper dies. Colonel Pepper left a sizeable estate to his wife. 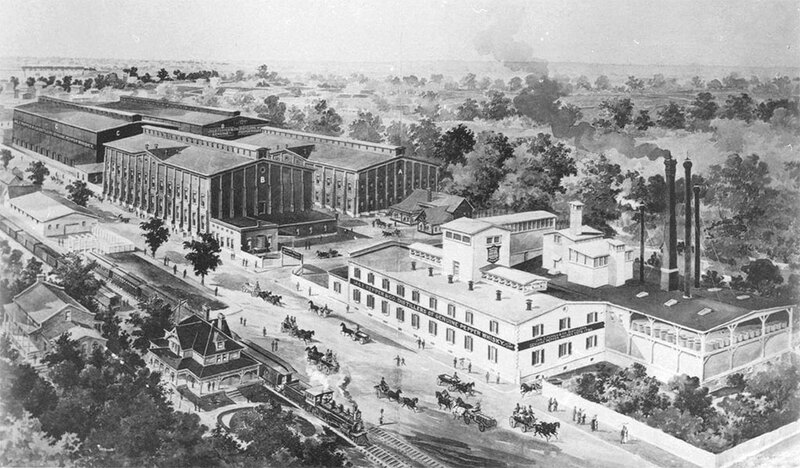 Having no children, the distillery was sold to investors and continued operations. 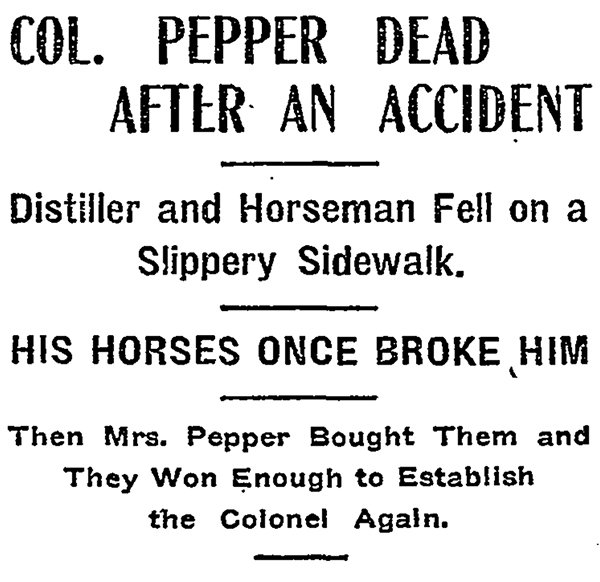 His widow auctioned Meadowthrope Farm and his horses, except Mrs. Pepper kept one horse, named Prince Pepper. The Imperial Stud Farm of Japan had once offered any sum of money for Prince Pepper. Mrs. Pepper died on April 2, 1939. At her burial a statue of her was erected in the cemetery. Both are buried in the Lexington Cemetery. Prior to Colonel Pepper’s death, he had hidden a reserve of three hundred barrels of whisky at the distillery for his personal usage. 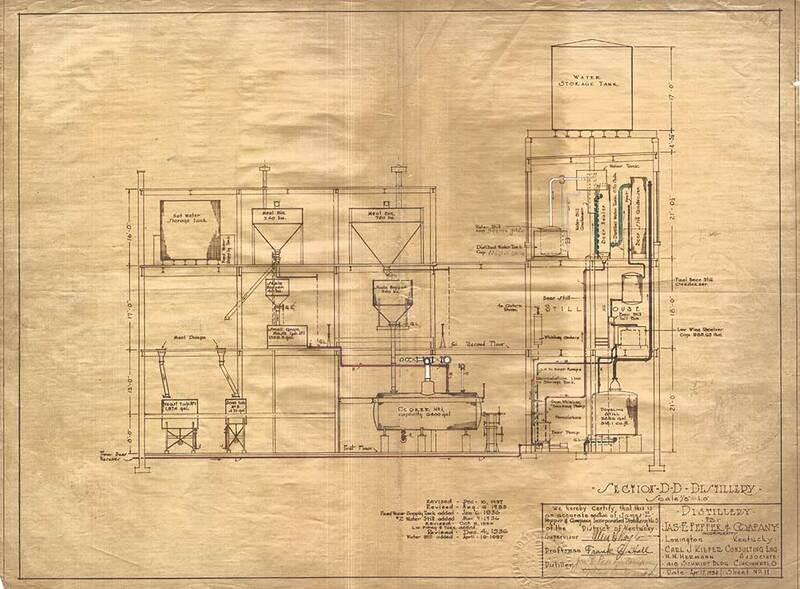 This whiskey produced in the spring of 1899 was maintained at its original “barrel” strength. Colonel Pepper considered this the best whiskey ever produced. 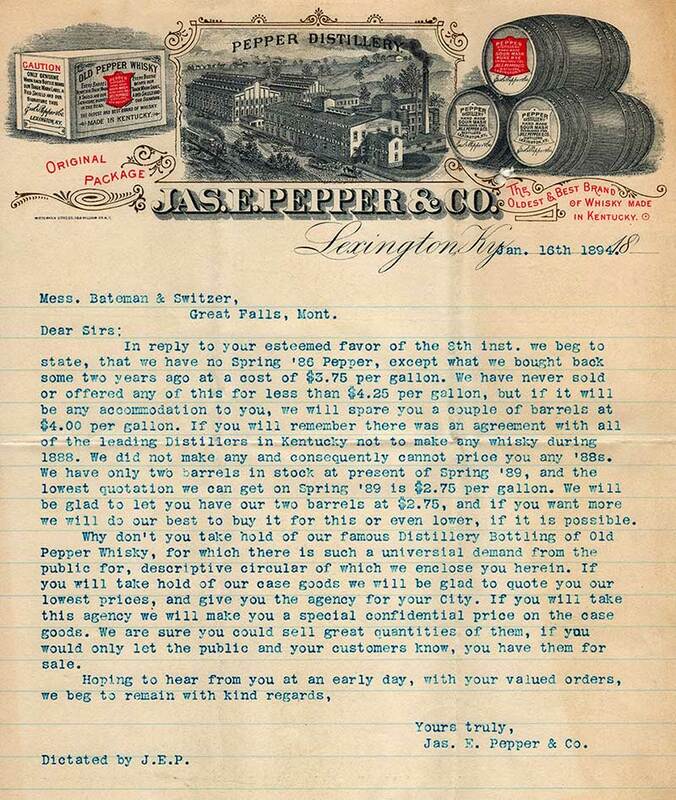 During his lifetime, Colonel Pepper had refused to sell these barrels – retaining them for his personnel use. 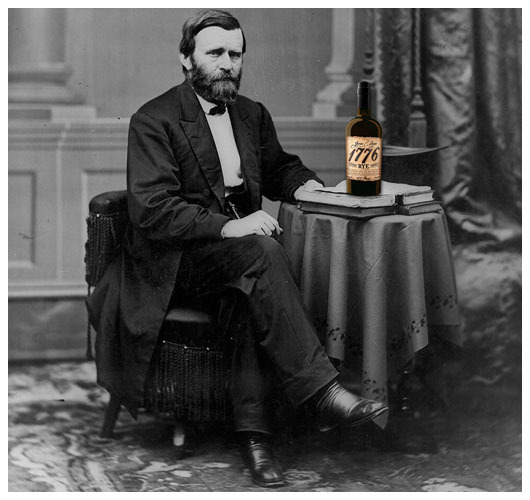 In March 1907, after Colonel Pepper’s death, a half-barrel of this whiskey was sold by accident to the Reed Hotel. 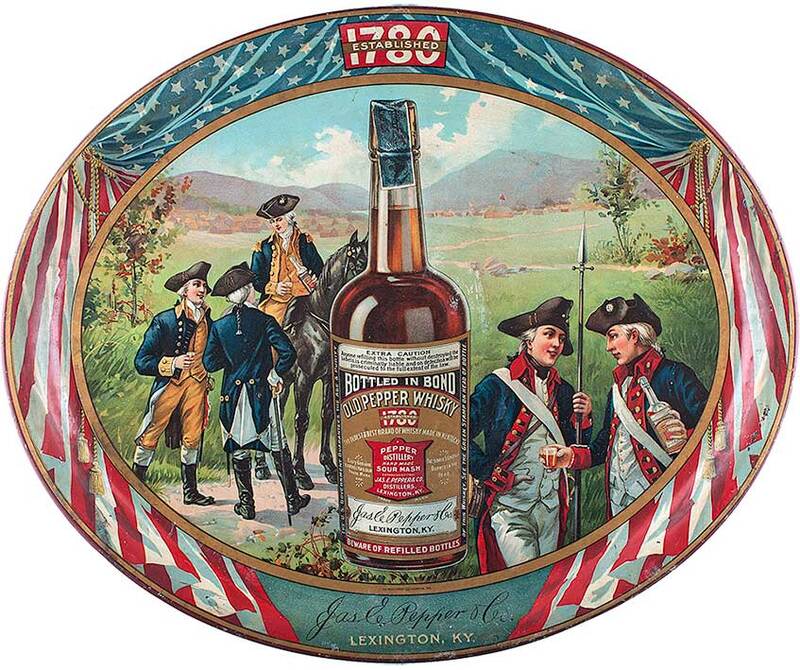 It was soon recognized as Colonel Pepper’s reserve and orders pour into the distillery. 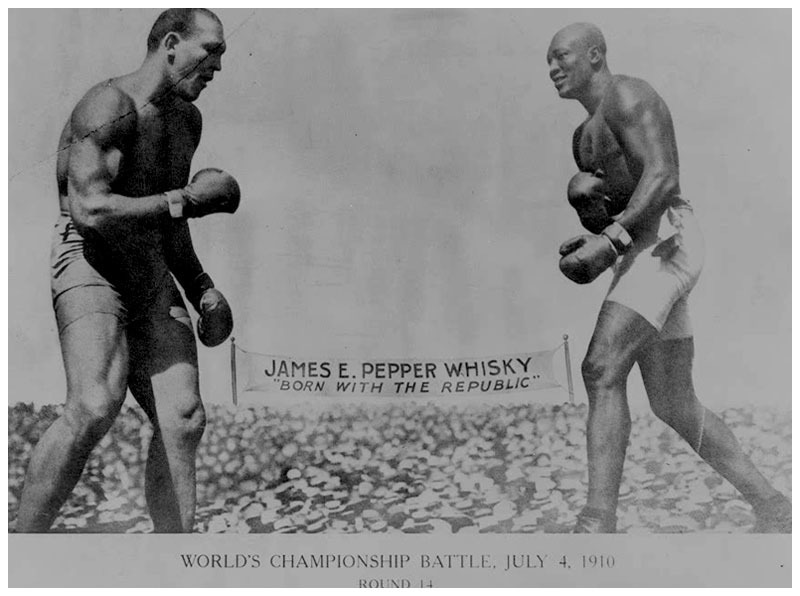 The 1st African-American Heavyweight Champion of the World, Jack Johnson, defended his title against Jim Jeffries in ‘The Fight of the Century’. 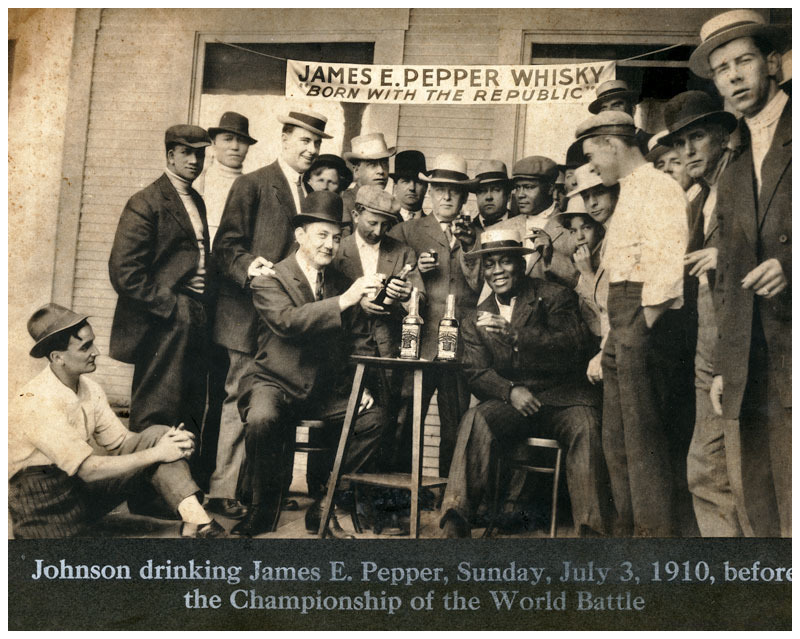 James E. Pepper whiskey is a proud sponsor of the historic event. The prohibition of alcohol is enacted and enforced in the United States. 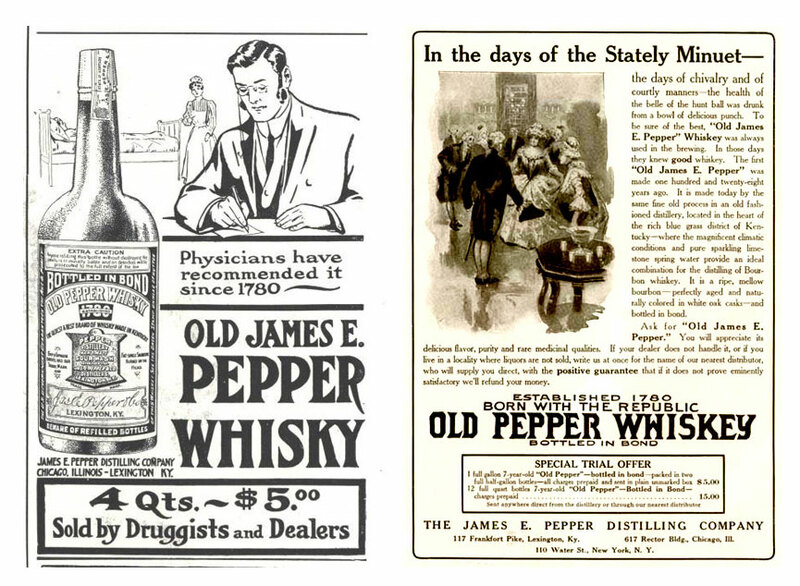 James E. Pepper whiskey is one of a handful of whiskey brands still sold for “medicinal purposes”. 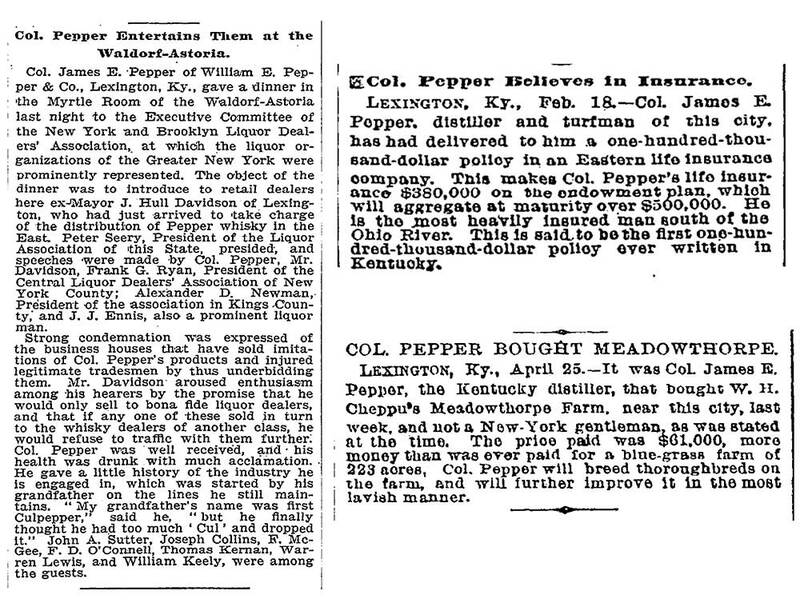 Prohibition ends in Kentucky, & James E. Pepper comes back full steam. After a devastating fire, a new distillery is constructed and the brand continues to thrive and grow into one of the largest whiskey brands in the nation. Entrepreneur Amir Peay, founder and owner of the Georgetown Trading Co., discovers the lost legacy of this iconic American whiskey brand and becomes intrigued. He acquires the rights to the brand and immediately embarks upon a campaign of thorough historical research and collection of historic materials (some of which you have recently viewed). A vast amount of information and historic materials are assembled (and continue to be assembled), so that the brand can be re‐launched in a proper fashion. 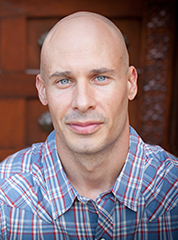 Amir’s personal affinity to the Pepper brand is strengthened by his own family connection to both the whiskey business during the American Revolution and his family roots in Kentucky. On one side of his family, Amir’s fifth great‐grandfather (Captain John Cassin) fought in the American Revolution alongside George Washington, then co‐founded the Navy Yard in DC where he was involved in trading barrels of whiskey in Georgetown (at the price of 52 cents per gallon for “good whisky”). The other side of his family traces back to the Peay family cemetery in Butler County, KY, and possible links to a Peay buried in the cemetery of Lexington, KY at the same time as James E. Pepper’s era. 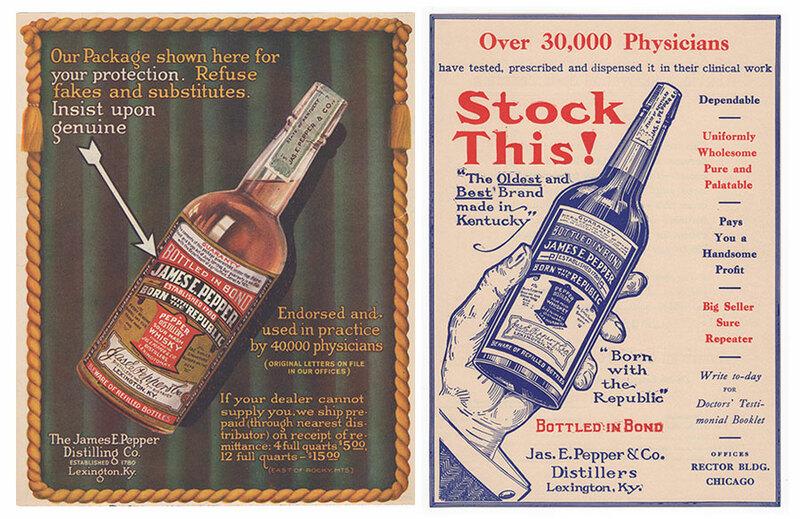 A few bottles from our collection of original, perfectly preserved, pre, mid & post Prohibition. 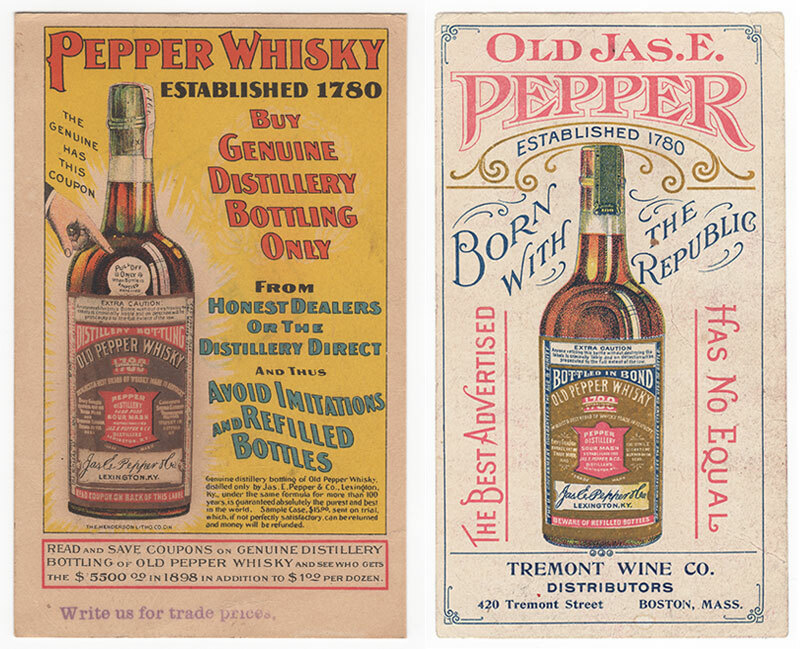 James E. Pepper Whiskey – Bottled between 1914 – 1954. One of the multiple letters we acquired from James E. Pepper himself, dated 1894. Referencing the historic materials, which included detailed old recipes, grain bills and production methods, partnerships were formed with existing distilleries to produce whiskey for the brand and to retell the lost story of this iconic American whiskey brand. 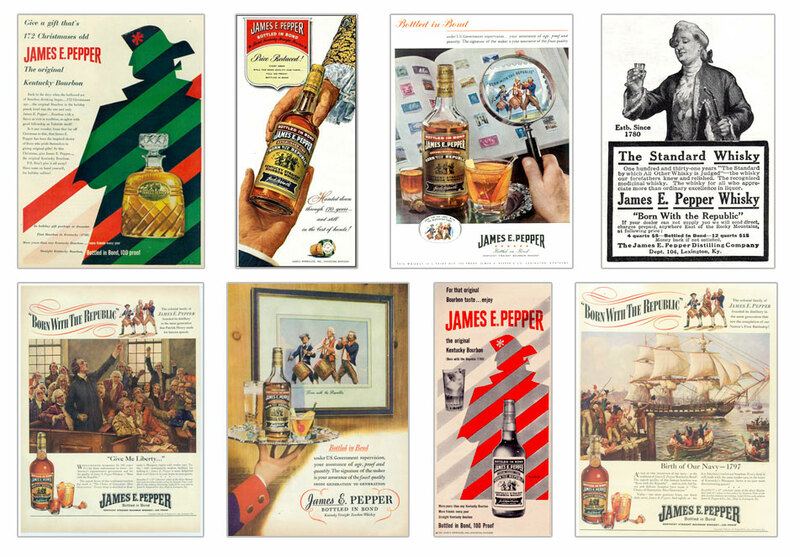 James E. Pepper whiskey is re‐introduced to the world. 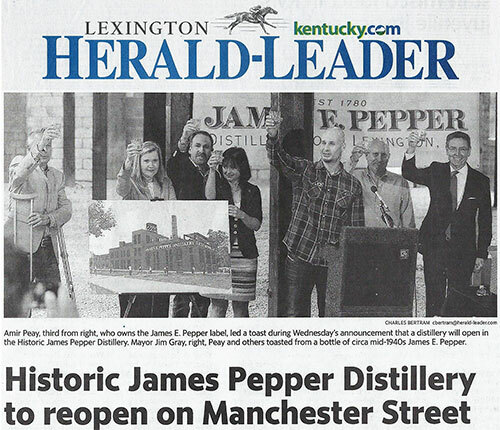 At the same time the brand is being reintroduced to the world, a desire to rebuild a distillery and museum in the abandoned historic James E. Pepper Distillery in Lexington is pursued. The final remnants of the distillery, built in 1936 by the Schenley Company, sat on a vast property that contained multiple buildings and structures. The two main structures that remained were a 100,000 barrel rick house and the large main distillery building, both constructed of solid concrete, masonry, and steel beam structures. Abandoned for 60 years these buildings and the property fell into a very bad state of repair, but remained structurally sound. 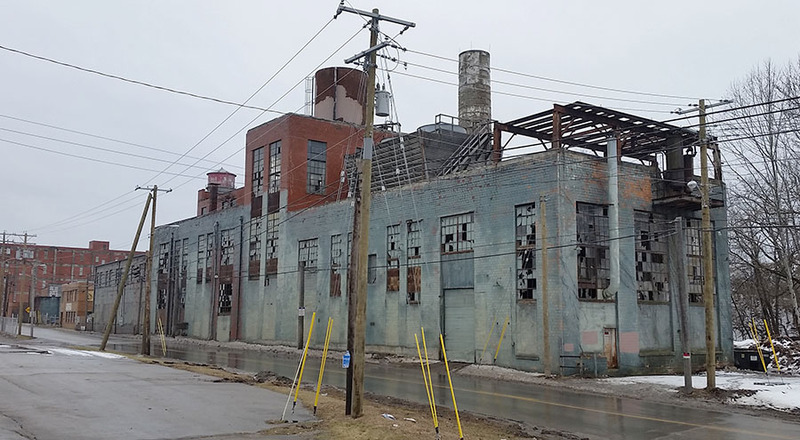 While there were plans to redevelop the area, for some time the property was not tenable for a distillery project. However an open interest was expressed to property owners should the ability ever arise to rebuild a distillery. 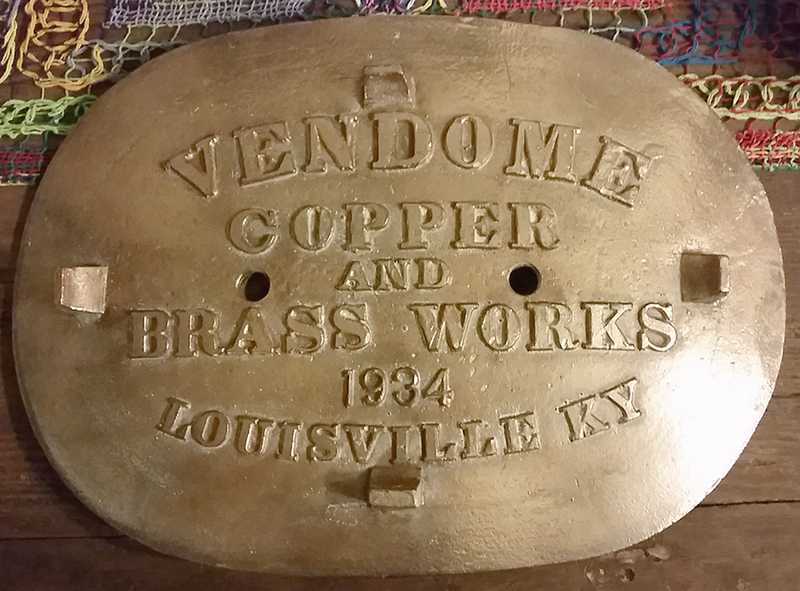 …and even the old copper plate from Vendome stills, from 1934 (the year Prohibition was repealed in Kentucky and from the same still designed in the mechanical drawings above). 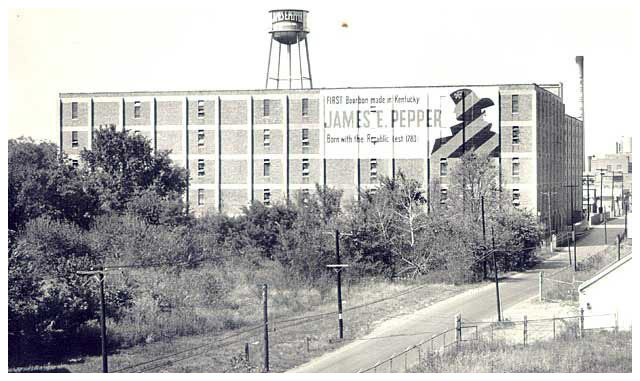 Then on May 4, 2016, after years of work and with great pleasure, it was happily announced that James E. Pepper would be rebuilding a craft distillery and museum in the remains of the historic James E. Pepper distillery. The re-built distillery filled its first barrel on December 21st, 2017. You can learn more about the distillery on our Distillery page.